Starkist Creations: Premium New Flavors! 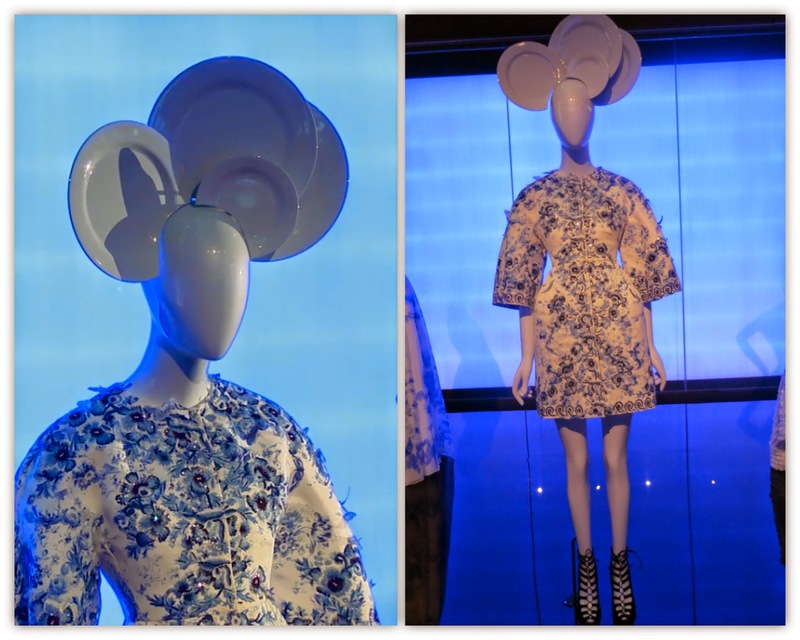 On Monday I attended the press preview of the Metropolitan Museum of Art’s new exhibition, “China Through the Looking Glass,”. At the preview, Director of the Museum, Thomas Campbell, Chairman of the Department of Art, Mike Hearn, Yahoo! 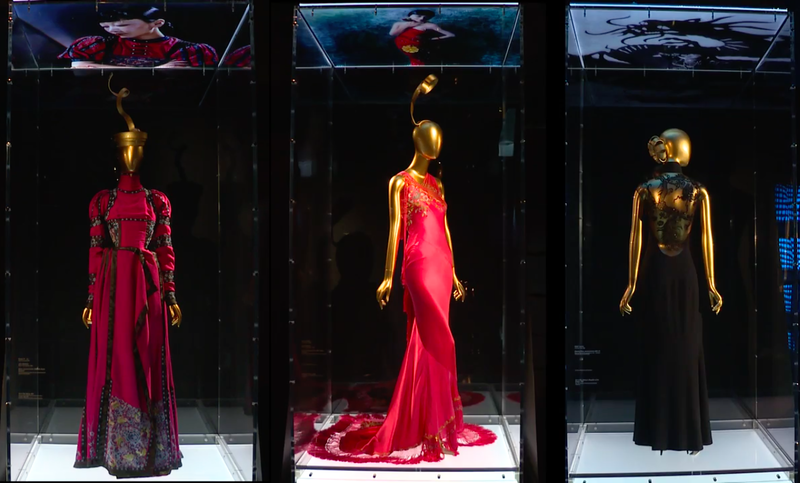 CEO Marissa Mayer and, Costume Institute curator Andrew Bolton, and famed Hong Kong director and Artistic Director of the exhibition, Wong Kar Wai, gave opening remarks. 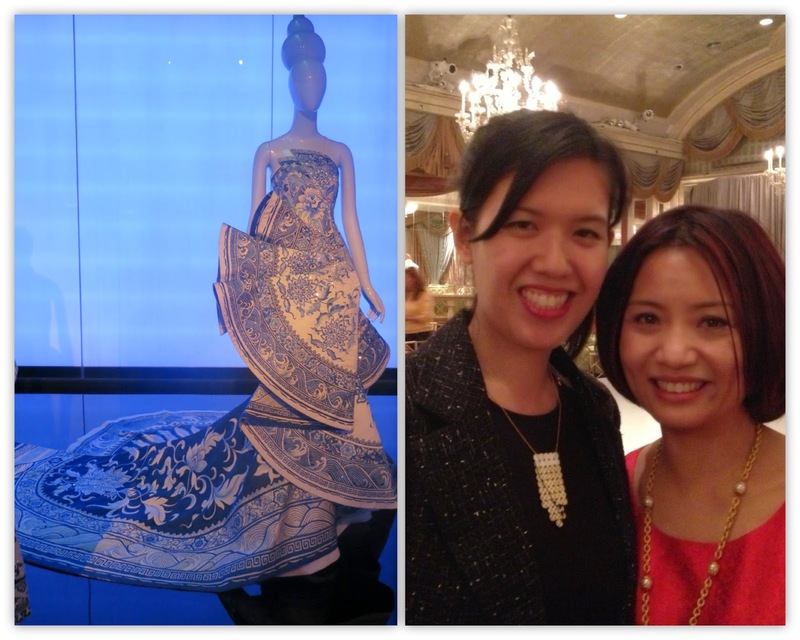 Also in attendance were Anna Wintour, financier Silas Chou, Wendi Murdoch, and designer Vivienne Tam. 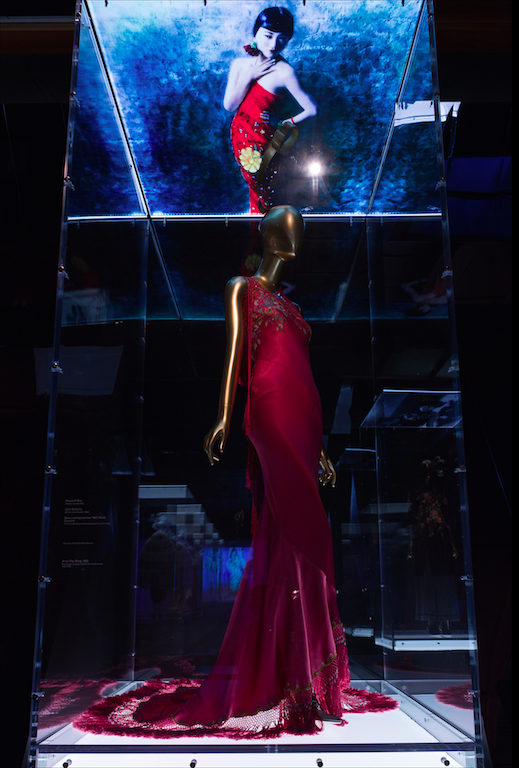 The exhibition in one of the biggest undertaken by the museum, displaying 150 haute couture dresses, gowns, costumes and accessories from 40 designers alongside Chinese art,costumes, paintings, porcelains, and other art, including films. 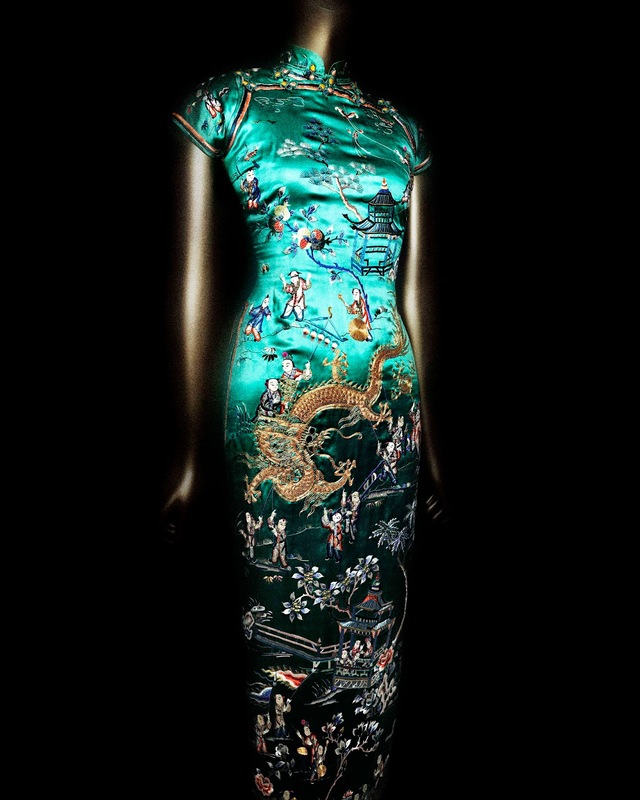 It explores the impact of Chinese aesthetics on Western fashion, and how China has fueled the fashionable imagination for centuries. The exhibition runs from May 7 to Aug. 16. 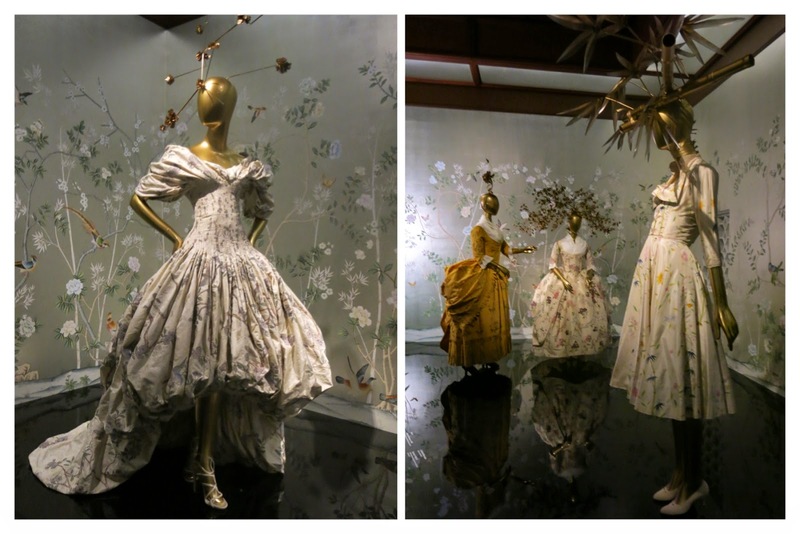 The exhibition was so immense, I was a bit overwhelmed, but plan on returning to the Met to see the art and fashion at a more leisurely pace. One of my favorite rooms was the Blue Porcelain room with designs influenced by traditional blue and white Chinese porcelain. 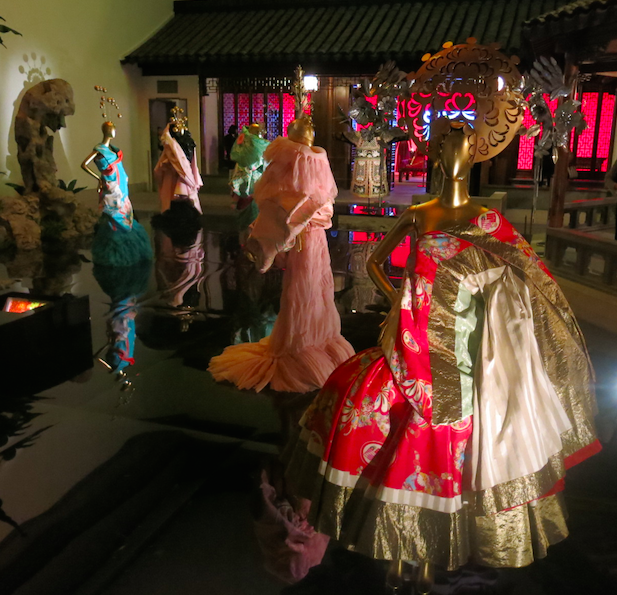 Another favorite was the Astor Court which features a thematic vignette dedicated to Chinese opera, focusing on John Galliano’s spring 2003 Christian Dior Haute Couture Collection. 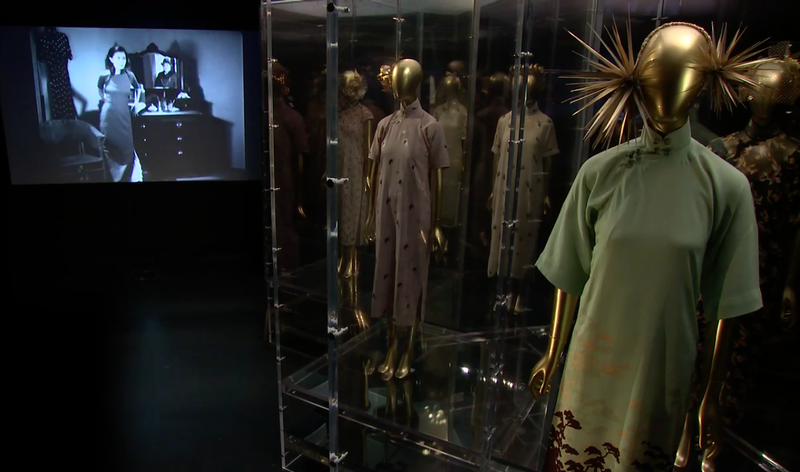 Two gowns designed by Martin Margiela using vintage Chinese opera costumes were a highlight. 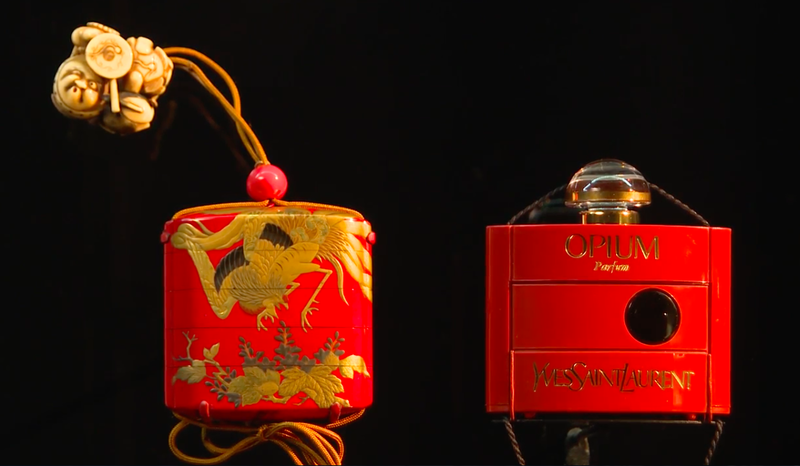 Cinema plays a big role in Western understanding of the richness of Chinese history. 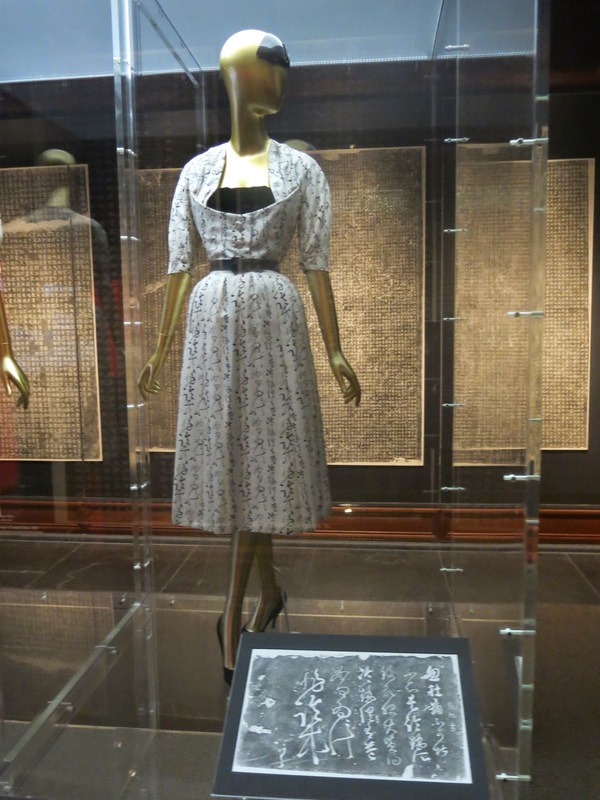 One of the galleries exhibits a group of cheongsam also know as qipao, considered the traditional dress of China. 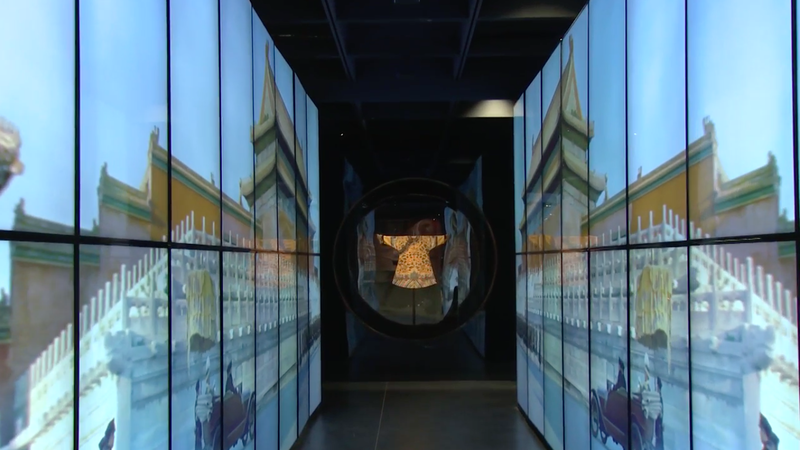 Video clips of Maggie Cheung wearing colorful qipaos from the movie “In the Mood for Love” provide visual and audio ambience perfect for this exhibit. 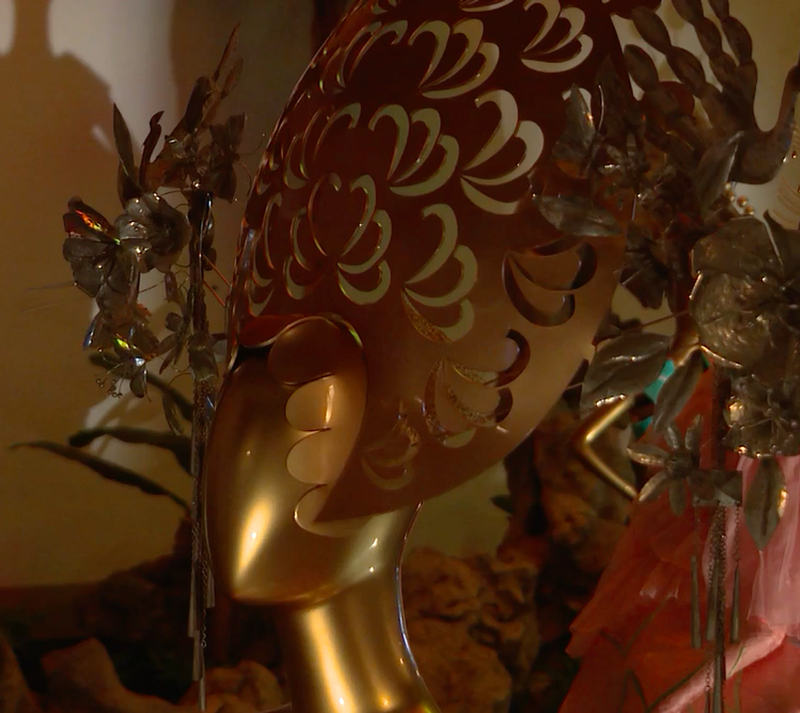 Screenshot of Maggie Cheung dressed in one of the many colorful cheongsams in the film “In the Mood for Love” directed by Wong Kar-Wai. 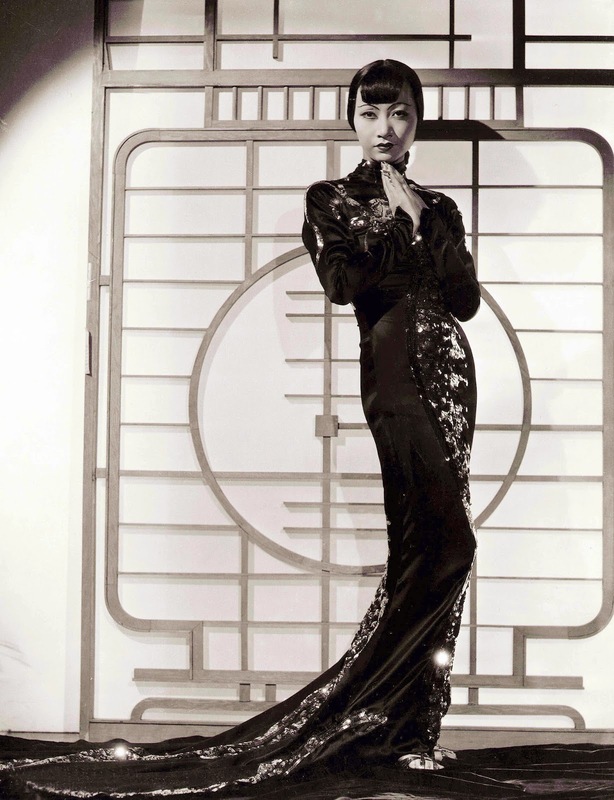 In the Chinese Galleries, Anna May Wong, the first Chinese American actress was the center of attention. Wong was a pioneer for Asian-American actors and one of the few actors in general to transition from silent to talking films. 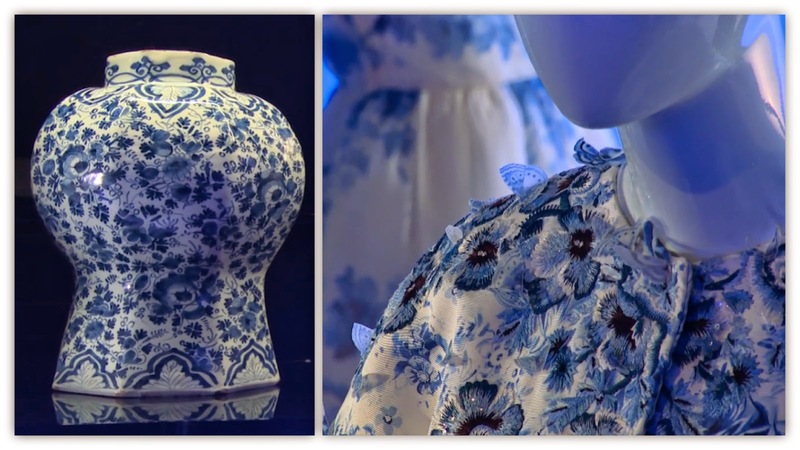 Left: Alexander McQueen Dress in silk.